Want to be a Volunteer! YOUR DONATIONS ARE TAX DEDUCTABLE!!!. Volunteers to walk dogs and play with the cats. Help us with a donation. They are tax deductible. 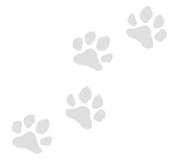 Help James A. Brennan Memorial Humane Society When You Search or Shop! A penny a search and a portion of each purchase will be donated to James A. Brennan Memorial Humane Society for free. How often do you search or shop online? Our Mission: To enable the economic power of individuals to benefit their chosen communities. Our Vision: In the near future, all consumer transactions will contain a percentage that benefits causes close to home. Raise money for your favorite cause, every time you search the web! iSearchiGive.com is a search engine powered by iGive.com, the internet's first online shopping mall where a portion of each purchase is donated to your favorite cause. We're bringing you the best, easiest way to raise money when you search the web. No hidden fees. No vague percentages. No limits. And, donation checks are sent promptly, every month.When you use iSearchiGive to search the web, your favorite cause receives exactly $0.01 per qualified search. The money comes from advertisers, so it costs you nothing, and it's completely free for you and the cause you support. Donation checks are mailed every month. We sent over 2,000 checks to causes big and small during just the month of March, 2008. With iSearchiGive, there's no need to wait a year for your cause to get its donations! Every month, we calculate the funds due your cause based upon fundraising activities that happened approximately 75 days ago. That allows enough time for advertisers to pay us, so that we can pay your cause. The minimum for check issuance is $25 - if your cause has not reached the $25 minimum, their funds will roll over to the following month. After all, who wants a check for 73¢? Search to your heart's content. If you shop, you can help even more. iSearchiGive is brought to you by the pioneers in online shopping and charitable giving: iGive.com. We've sent over $3,000,000 to causes since 1997. Our mission is to change online shopping (and searching!) for good. If you shop online, consider doing it through iGive.com where up to 26% of each purchase at over 680 participating online stores is donated to your favorite cause. Create your free iGive.com membership today. It's free for you, and free for your cause. No mysteries. No uncertainy. And you can track your individual contributions! It's wonderful to know how much you and everyone else in the world have raised for your favorite cause, but you deserve to know how much you contributed to this effort. By creating your free (and totally optional) iGive.com membership, you enable us to track your individual earnings through searching (at iSearchiGive) and shopping (at iGive.com). Don't want to sign up? No problem. You can still raise money for your cause at iSearchiGive and view the total funds raised for your cause by all supporters. Just click the "Total Raised" button which will appear on the iSearchiGive homepage, after you have selected a cause to support.